The green movement is not aging well. Like today’s U.S. Republican Party, it has a diversity problem and speaks primarily to a narrow, graying demographic slice of the United States." ...some suggest that environmentalism’s core philosophy is outdated. Perhaps the latest results from a Pew survey will move greens to focus on their predicament. Pew found that those born after 1980–known as Millennials–are much less likely to identify with environmentalism than other age groups. The Washington Post’s Wonkblog has a nice overview and graphic [shown at side] of the Pew Survey. ...Millenials are also more likely to say that more mixed-race marriages and more gay and lesbian couples raising children are good things for American society. More than half of Millennials, 55 percent, say undocumented immigrants should be allowed to stay in the U.S. and apply for citizenship, while another 25 percent say the undocumented should be allowed to stay and apply for permanent residency. I'm still not clear what's unique to young adults now as opposed to at other periods - but I do think the lack of diversity of "environmental" groups is one issue in not attracting younger supporters. I am unaware of any progress on diversifying personnel, and opinion, in Toronto's "green" web since I wrote Green is the Old White nearly two years ago. 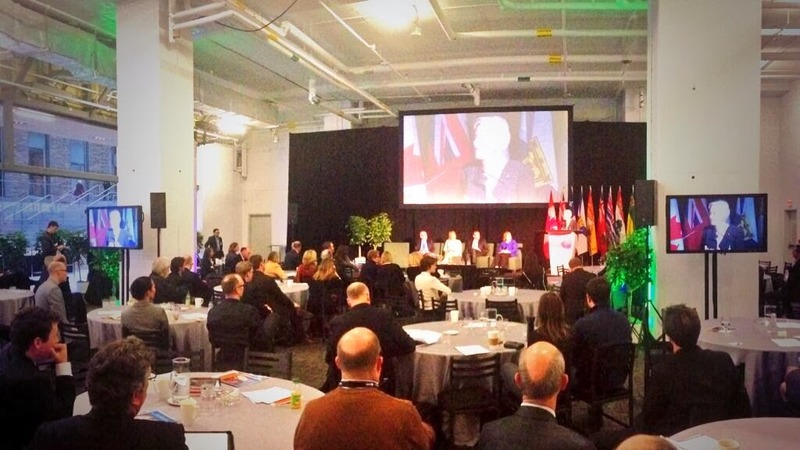 One recently held event, the Canadian Energy Innovation Summit (CEIS 2014), featured some of the same characters I noted in that article (they haven't accomplished anything in the interim), and all of the same lack of diversity. Probably different answers to: Do you support gay marriage? // Do you identify as an environmentalist? I suspect the answer to "Do you identify as an environmentalist" depends on who is asking and within what context. 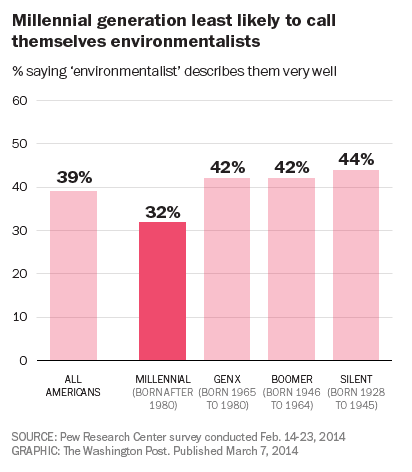 I don't doubt millennials are concerned about environmental issues - I think they are turned off by the current culture of what is viewed as environmentalism.